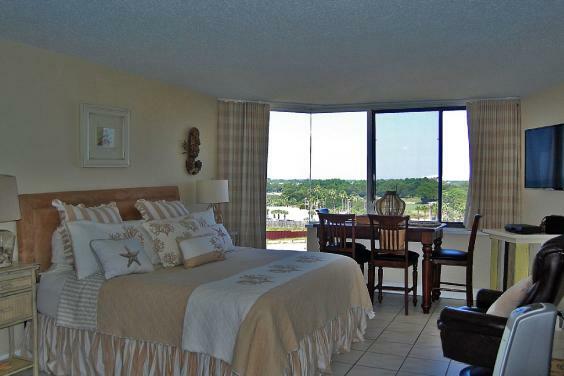 Property is located DIRECTLY on the beach! 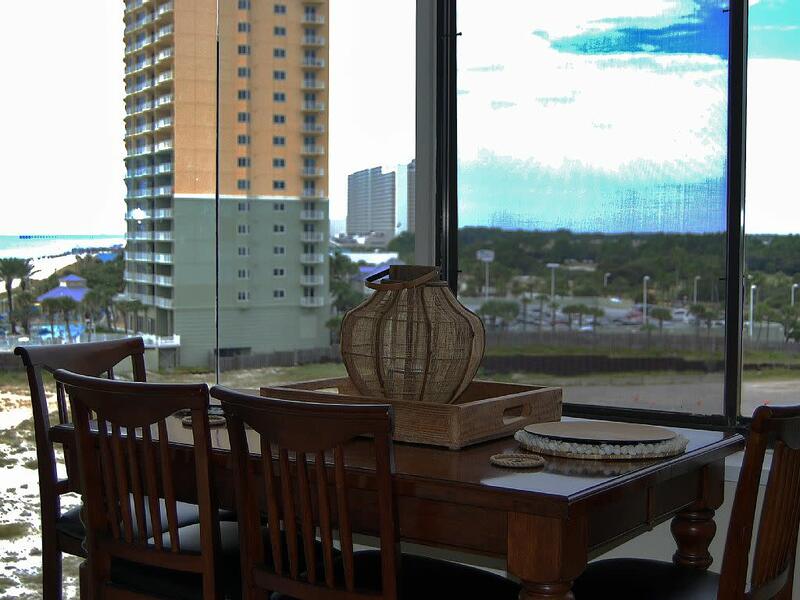 Unit is located on 7th floor with miles of beach view! 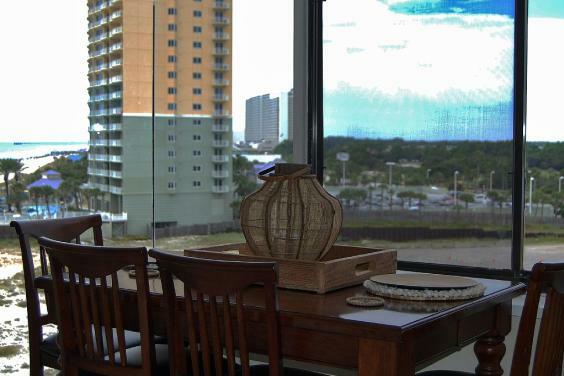 No balcony is attached to unit but each floor has two (2) common balconies with seating to enjoy sunsets and sunrises. Sunset dinners can be enjoyed at the bar height table while overlooking both the ocean and city view. Sleeping accommodations offer a comfortable king sized bed and queen sleeper sofa. In room WIFI and a 48" Smart TV is offered featuring premium channels, HBO, Netflix and a Blu Ray player. The fully equipped kitchen features a full sized refrigerator, microwave, dishwasher, oven, toaster, blender, coffee maker, waffle iron perfect for preparing family meals. Coin-operated laundry facilities are located on every other floor in complex. Bar-B-Que grills are furnished adjacent to the large 8 1/2 foot deep pool, kiddie pool and seasonal snack bar. 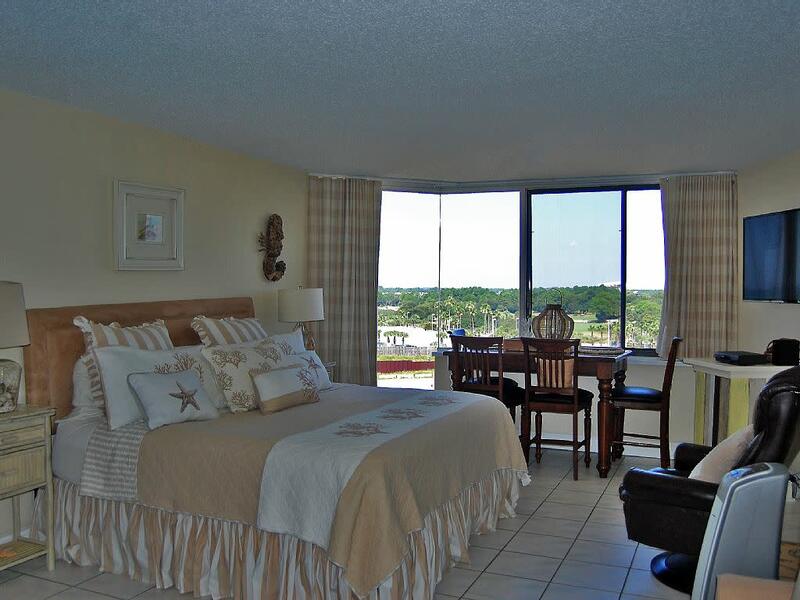 Top of the Gulf is located within steps of Spinnaker Beach Club, Club La Vela and Pineapple Willy's. A one-time resort fee of $15.00 ($25.00 during Spring Break) is due upon arrival and paid to security, only cash is accepted. Due to Condominium Policy one guest in party must be 21 years old.